What conditions does Savella treat? List Savella side effects by likelihood and severity. Before using this medication, tell your doctor or pharmacist your medical history, especially of: kidney disease, liver disease, alcohol use, personal or family history of glaucoma (angle-closure type), personal or family history of psychiatric disorders (such as bipolar/manic-depressive disorder), personal or family history of suicide attempts, high blood pressure, heart problems (such as chest pain, heart attack, fast/irregular heartbeat), seizure disorder, severe loss of body water (dehydration), stomach/intestinal ulcers, mineral imbalance (low level of sodium in the blood), painful/difficult urination (for example, due to enlarged prostate). What should I know regarding pregnancy, nursing and administering Savella to children or the elderly? 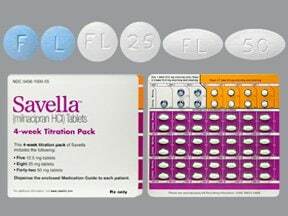 Does Savella interact with other medications? This medicine is a multi-color (2), multi-(2), film-coated, tablet imprinted with "F or FL" and "L or 25 or 50". 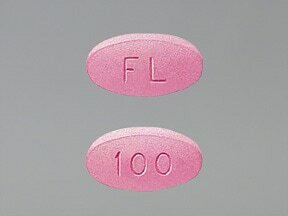 This medicine is a pink, oval, film-coated, tablet imprinted with "FL" and "100". 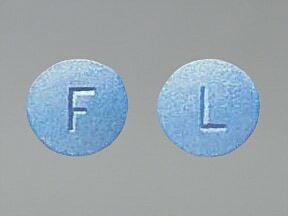 This medicine is a blue, round, film-coated, tablet imprinted with "F" and "L". 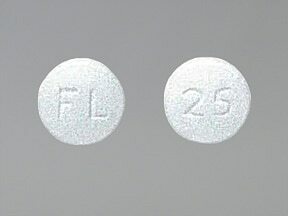 This medicine is a white, round, film-coated, tablet imprinted with "FL" and "25". 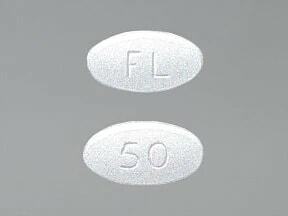 This medicine is a white, oval, film-coated, tablet imprinted with "FL" and "50". Are you considering switching to Savella? How long have you been taking Savella?